While cleaning the garage this weekend we made a surprise discovery. We kept a garden tool rack in this corner of the garage, which is right next to the garage door, and over the years it had accumulated a good deal grass clippings, leaves, and dirt. 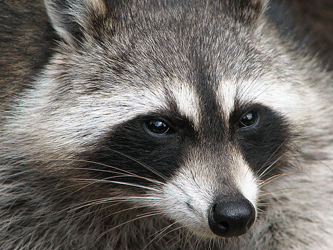 We slid the garden tool rack out from the corner of the garage, and began sweeping out the litter. That’s when we noticed two small, off-white spheres in the debris. The two off-white spheres were clearly eggs of some kind. 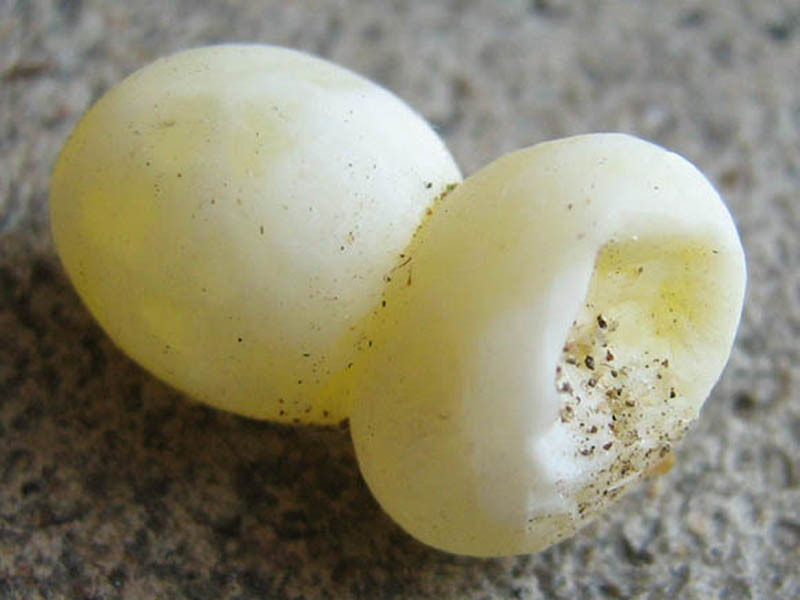 One of the eggs was broken open, and after closer examination it was found to contain a Mediterranean Gecko embryo. While checking the debris pile for more eggs we discovered two more fused orbs in the pile as well. We believe these are possibly infertile/failed gecko eggs. While cleaning the garage this weekend we made a surprise discovery. We kept a garden tool rack in this corner of the garage, which is right next to the garage door, and over the years it had accumulated a good deal grass clippings, leaves, and dirt. 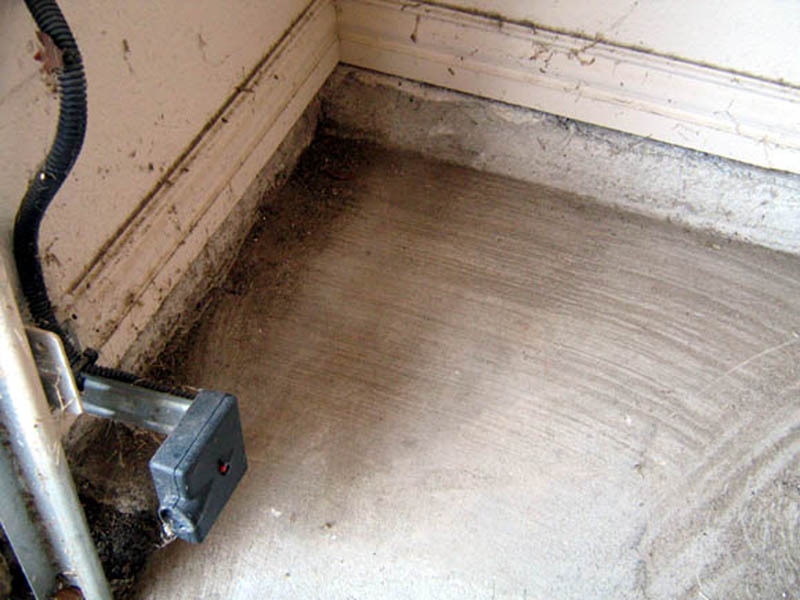 We slid the garden tool rack out from the corner of the garage, and began sweeping out the litter. That’s when we notices two small, off-white spheres in the debris. While checking the debris pile for more eggs we discovered two more fused orbs in the pile as well (top arrow). We believe these are possibly infertile/failed gecko eggs. Compare them to the viable egg pointed to by the bottom arrow. 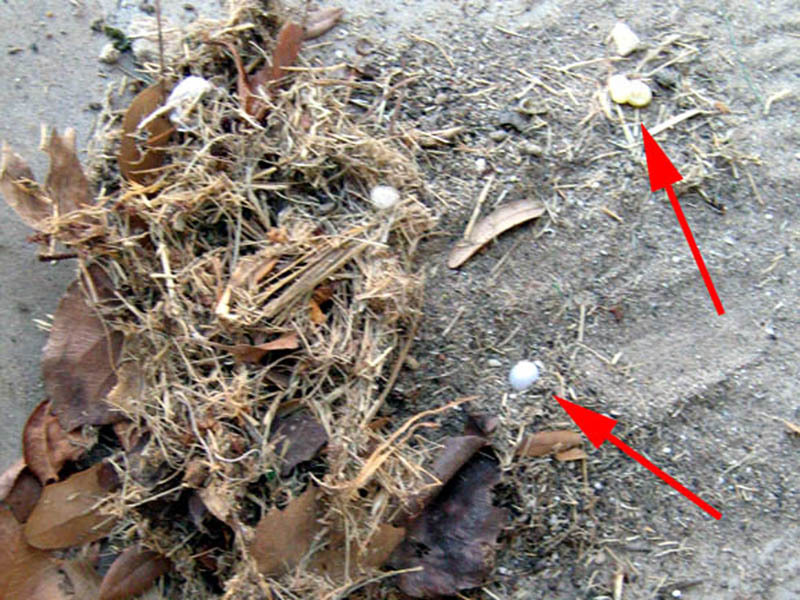 The type of litter the eggs were laid in is clearly visible in the photograph. The area was dry, warm, and dark, which is slightly contrary to the conventional wisdom which expects the eggs to be in a slightly moist location. 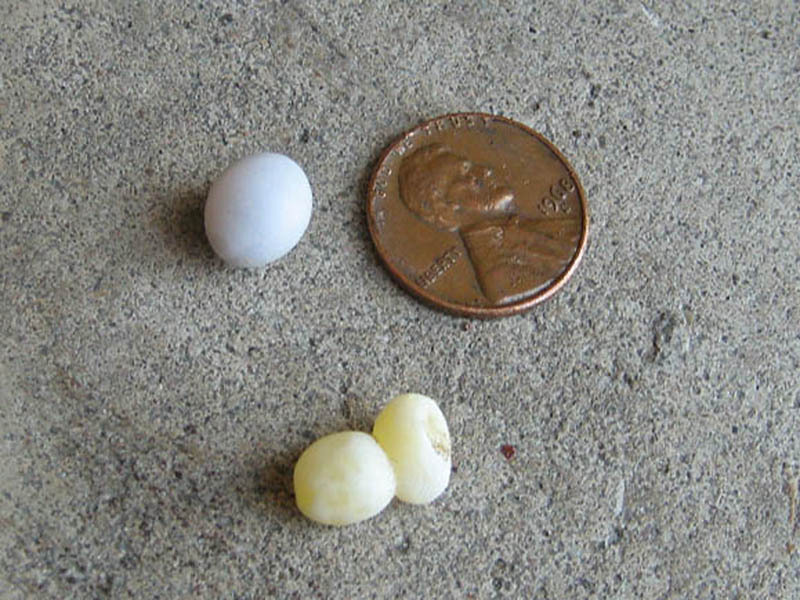 Here is a photograph of the surviving viable egg (top), and the two fused and failed eggs. The penny is include to provide a reference for judging the size of the eggs. Here is a closer look at the surviving viable gecko egg. 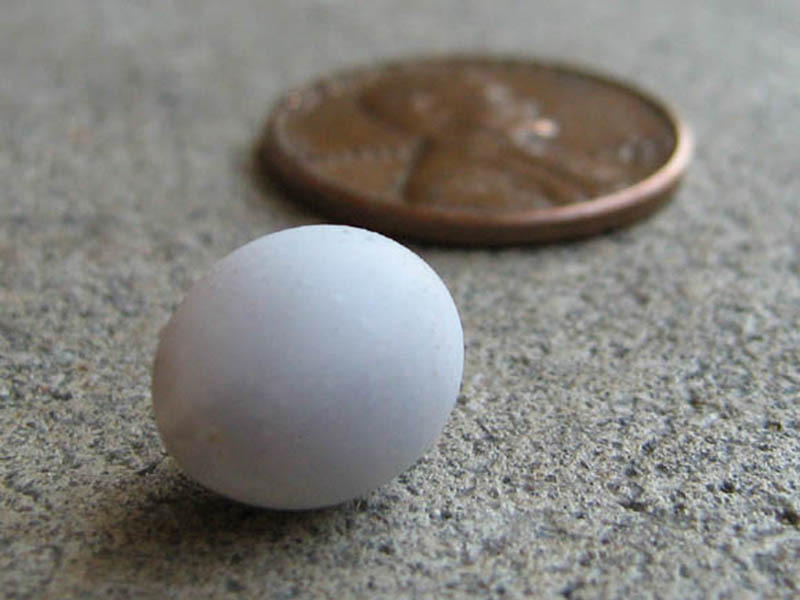 The egg is roughly 3/8ths of an inch in diameter. The shell was hard and dry like a bird egg. It was off-white in color, and slightly translucent. The vague outlines of the yolk sack and developing embryo could be seen through the egg’s shell. 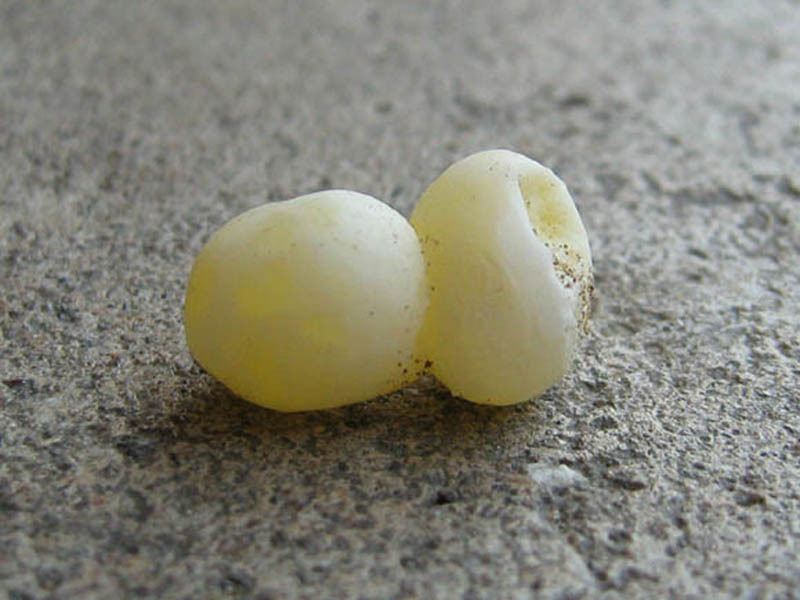 Here is a closer look at what we believe are two failed Mediterranean Gecko eggs. The two orbs are fused together. They are slightly yellow in color, and have translucent shell. The fluid inside appeared to be transparent and uniform in color. An even closer look at the failed gecko eggs. Though the shells were fused and misshapen, they were still intact and unbroken. 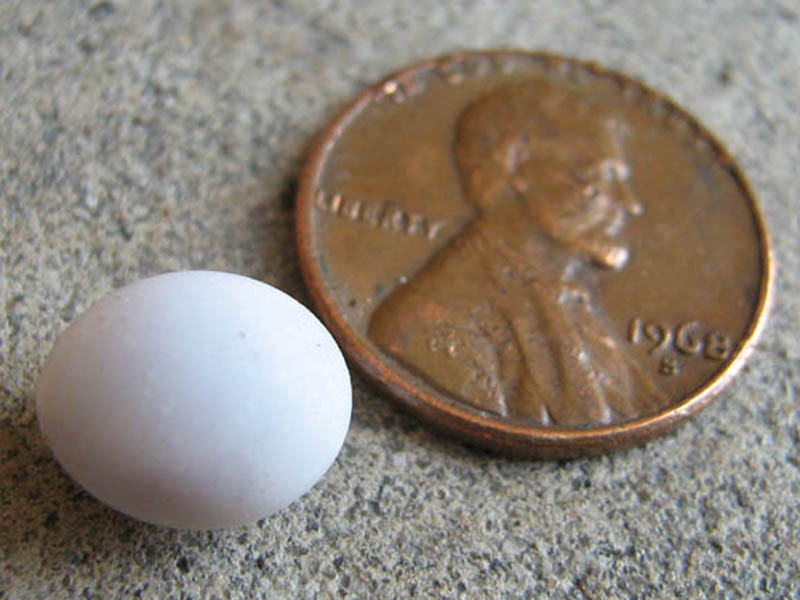 A Mediterranean Gecko egg with a Lincoln penny for scale. Omg!!!!! Those are adorable and tiny!!! !